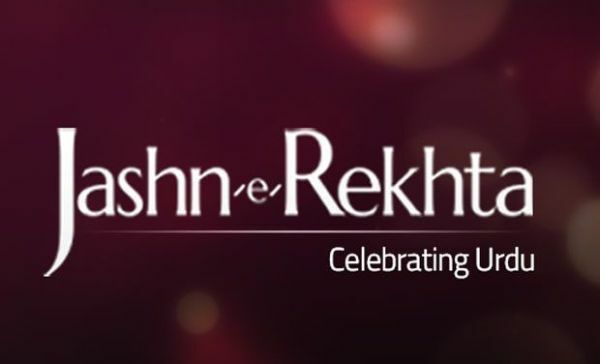 Home Indian Muslim Jashn-e-Rekhta to mark its International Debut in Dubai! Dubai : Jashn-e-Rekhta, a festival that has received unimaginable appreciation in the past five years in India and has blossomed in the hearts and minds of people, gears up to make its International debut, choosing UAE as its first stop. Jashn-e-Rekhta Dubai, a three-day literary and cultural festival will be held from Feb 28 to March 2 at Zabeel Park, Dubai. The festival aims to transcend boundaries of culture and language by bringing together a galaxy of doyens, artistes, scholars and poets through Ghazal and Sufi performances, Discussions, Mushaira, Dastangoi and more; and to add to the richness and diversity of Dubai. 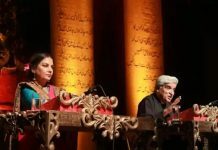 Organised by Rekhta that curates the world’s largest repository of Urdu poetry – www.rekhta.org, this celebration aspires to unite Urdu lovers from every part of the world, especially from the GCC region, to celebrate this unique language, its rich history and culture. It also endeavours to engage, enlighten and entertain audiences from socially diverse backgrounds. Showcasing and celebrating various facets of Urdu language, and its reach, the festival on the second day will begin with Ghazal singing by Tanya Wells, a singer born and raised in London, who will delight the audience with her renditions of Faiz Ahmad Faiz’s ghazals and some Sufi songs, along with guitarist Paulo Vinicius from Brazil. Another highlight of the second day will be a session with Javed Akhtar titled ‘Kaisi Hogi Duniya Adab Ke Baghair’ where he will talk about the relevance of Urdu literature and a world without it. The lovers of spiritual music will be in for a treat as Fareed Ayaz and Abu Muhammad will perform traditional qawwalis at the festival. Belonging to the Delhi Gharana school of music, the Pakistani brothers are one of the most renowned qawwals of the Indian subcontinent. Special highlight of Day 2 will be the Grand Mushaira which will witness some of the best poets from the universe of Urdu from India like Farhat Ehsas, Sheen Kaaf Nizam, Shariq Kaifi, Shakeel Azmi and from Pakistan such as Anwar Masood, Anwer Shaoor, Abbas Tabish as well as Asim Wasti from Dubai. Another highlight of Day 2 will let Urdu lovers witness some eclectic discussions where renowned Urdu language expert and educationist Arfa Sayeda Zehra and one of the most prominent Urdu poetesses Zehra Nigah will discuss the themes of identity and feminism explored in their poetry in a session titled ‘Urdu Mein Mohabbat aur Muzaahimat ki Awaazein’. Another session on the same day titled ‘Qisse Shayaron aur Mushairon ke’, will witness eminent personalities like Shamim Hanfi and Ashfaq Hussain sharing interesting anecdotes about poets and their gatherings. A special attraction on DAY 3 will be an engaging discussion track ‘Filmon Ki Baatein: Zabaan ya Andaaz-E-Bayaan’ with vivacious Pakistani actress Mahira Khan and renowned director Sarmad Sultan Khoosat (Director the television series ‘Humsafar,’ and many films including Manto), along with Indian actor Ali Fazal, who became a household name with films such as Fukrey, Happy Bhag Jayegi and Victoria and Abdul and a popular series ‘Mirzapur’ on Netflix. A specially curated musical will have veteran Bollywood actor Raza Murad who will revisit the blazing legacy of Faiz Ahmad Faiz’s poetry along with singer Radhika Chopra who will mesmerize the audience by rendering his soulful ghazals. Dastangoi exponent Mahmood Farooqui along with Darain Shahidi will present ‘Dastan-e-Tilism-e-Hoshruba’ which is considered to be the world’s first magical fantasy epic and ‘Dastan-e-Chauboli’ – a Rajasthani folktale. Other scholarly discussions on Day 3 include a discussion titled ‘Kahaani ka Sach’ in which eminent author Mustansar Hussain Tarar will converse with Asif Farrukhi about Urdu literature and the themes explored in the novels. The Grand Finale of Jashn-e-Rekhta Dubai will be a Sufi Performance by the outstanding Sanam Marvi from Pakistan who will thrill the audience with her a power packed singing. Rekhta Foundation is a not-for-profit social impact organization which is devoted to the preservation of Hindustani languages. The objective of Rekhta is to promote Urdu literature, especially Urdu poetry, to a global audience having roots in our subcontinent, particularly those not familiar with Urdu. 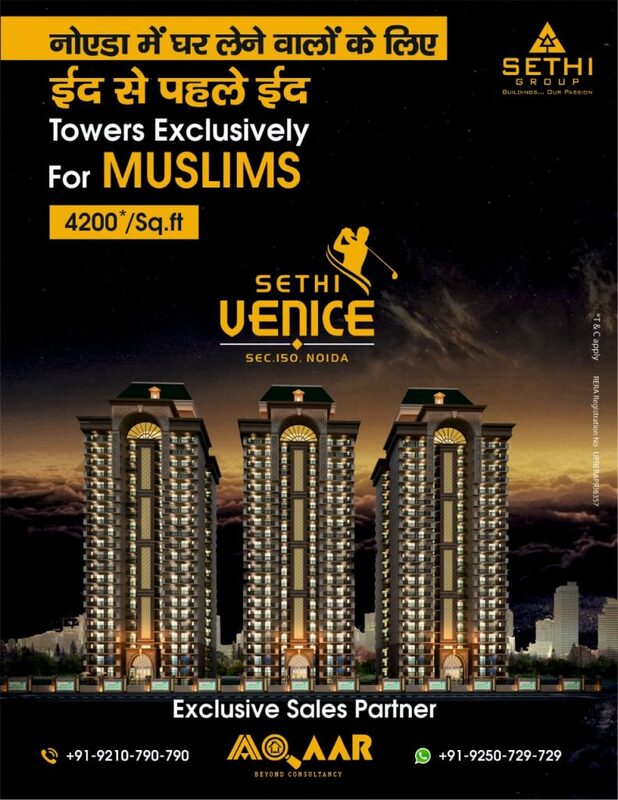 The content is available in Devanagari and Roman scripts in addition to the Urdu script. 1) Digitization/E-books project: At present, the e-books section has over 50,000 e-books available at rekhta.org and over 2,000 e-books are being added every month to its repository. 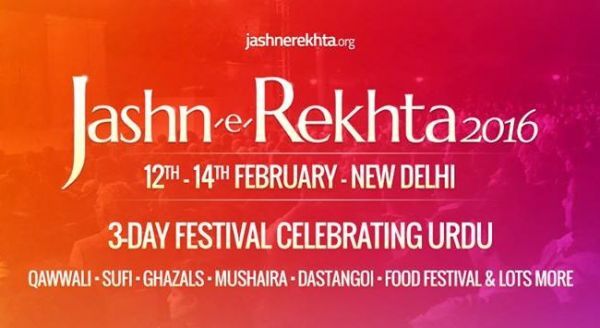 2) Events: Rekhta organises “Jashn-e-Rekhta”, a festival which is open to all. It has become the largest cultural festival in the subcontinent for any regional language over a span of four years. The Foundation has also launched an initiative called “Rang-e-Rekhta” to bring the fragrance and flavour of Urdu to different cities and towns across the country. 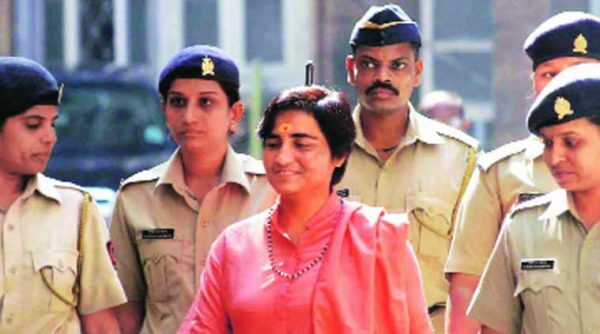 3) Sufinama: This website was launched on 14th December, 2018 by Morari Bapu, the renowned Ramcharitmanas kathakar. 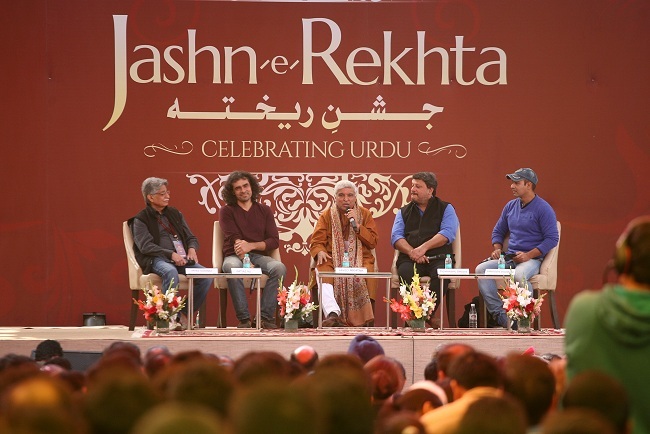 Following the grand success of rekhta.org, the Foundation decided to bring together the vast and scattered Sufi and Sant literature of the Indian subcontinent under the umbrella of sufinama.org. It includes a great collection of Sufi e-books, poetical works, sayings, quotes as well as Sufi songs including Qawwalis, Farsi kalam, Sant Vanis etc. 4) Learning Urdu Online for free – ‘Aamozish’: The Foundation runs a free online Urdu learning portal, aamozish.com, which has an unconventional yet scientific approach that helps those interested in learning the language and become a master at reading Urdu. 5) Rekhta Urdu Learning Program: The Foundation started a 3-week (25-hr) unique classroom Urdu Learning Program to enable people to read and write the Urdu script and gain access to the world of incredible Urdu literature and poetry in its original script. It has also launched an Advanced level course dedicated to language and literature.